Note: For a very quick video on how to display Query Editor, see the end of this article. 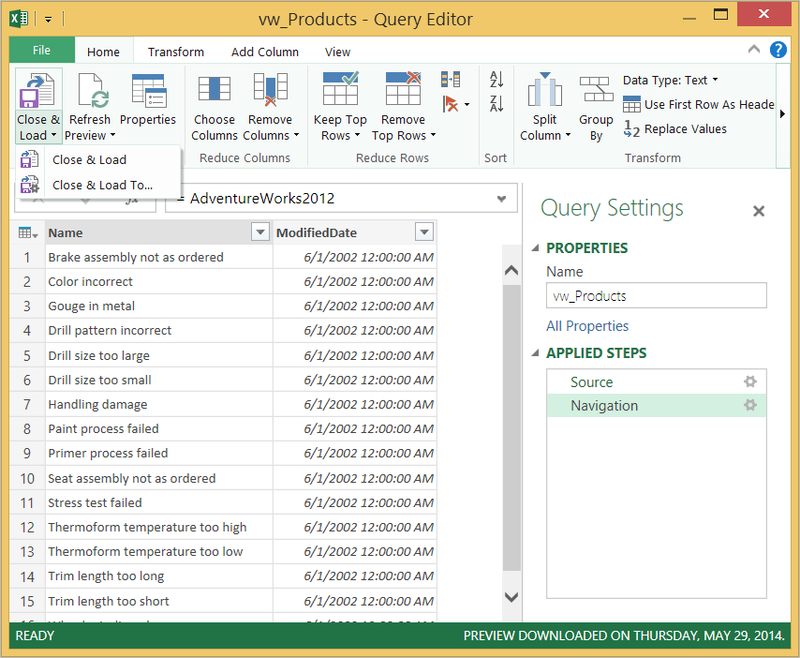 Power Query offers several options for loading queries into your workbook. You set default query load settings in the Options dialog popup. Note: When you click Load To from the Workbook Queries pane, you can only Load to worksheet or Load to Data Model. Other load-to options allow you to fine-tune how you load a query. To learn about the full set of load options, see How to fine-tune your load options. Select how you want to view your data. Select where the data is loaded. Add data to the data model. 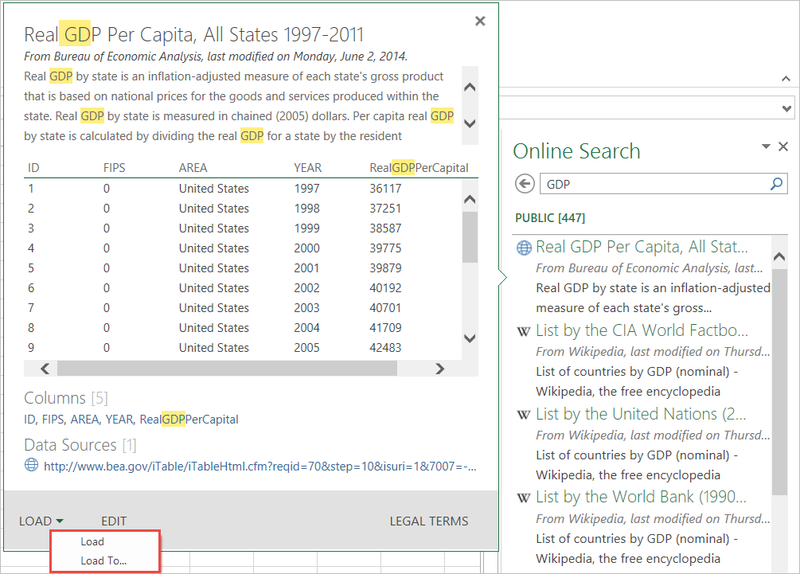 Note: The steps in this section require Excel 2013. An Excel Data Model is a relational data source composed from multiple tables inside an Excel workbook. Within Excel, a Data Model is used transparently, providing tabular data used in PivotTables, PivotCharts, and Power View reports. 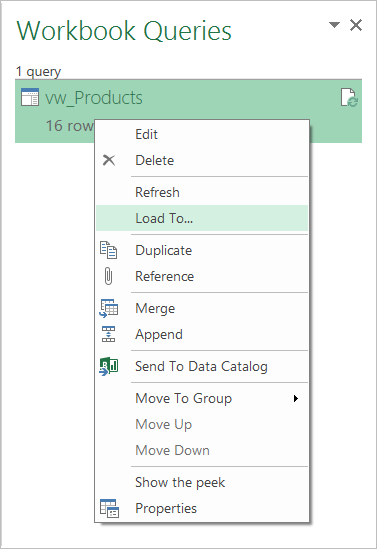 With Power Query, data and annotations on the Data Model are preserved when modifying the Load to Worksheet setting of a query. 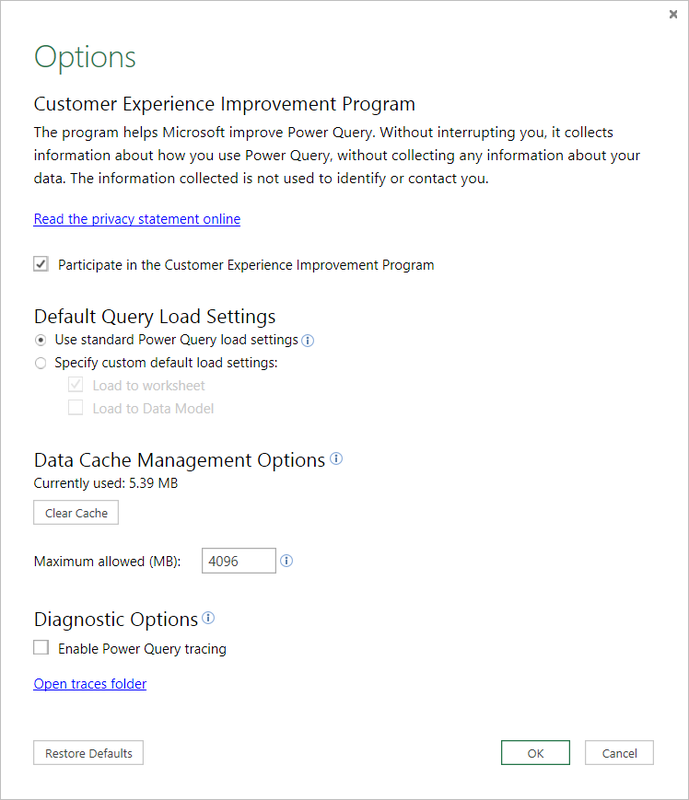 Power Query does not reset the query results in both the worksheet and the Data Model when modifying either one of the two load settings. 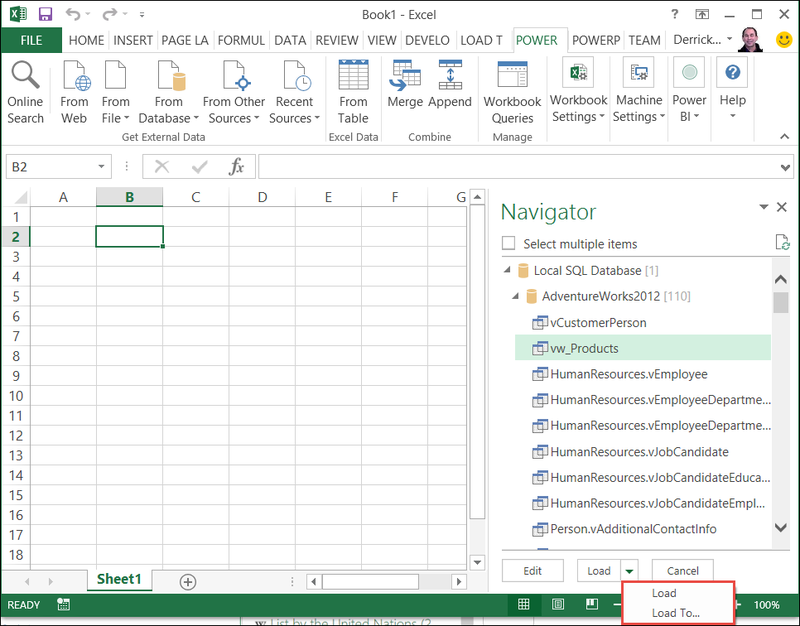 To load a query to the Excel Data Model, in the Load To popup window, check the Add the data to the Data Model box. To learn how to display the Load To popup window, see the Load queries into your workbook section above. In the Options popup window, choose a Default Query Load Setting. Note: The Query Editor only appears when you load, edit, or create a new query using Power Query. The video below shows the Query Editor window appearing after editing a query from an Excel workbook. To view the Query Editor without loading or editing an existing workbook query: From the Get External Data section in the Power Query ribbon tab, select From Other Sources > Blank Query.